Home | FAQ | Which inks can be used? 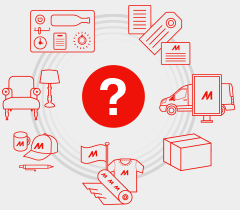 Answer: The following ink sets are available for each model: 220ml ink cartridges or 600ml eco-cartridges. 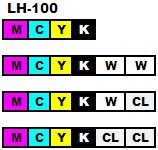 Ink colors are indicated as shown below. 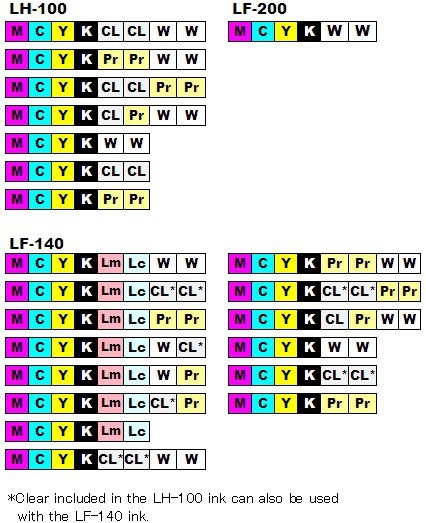 For UJF-3042FX, The LH-100 ink, LF-200 ink, LF-140 ink and IJ primer [PR-100] are available. 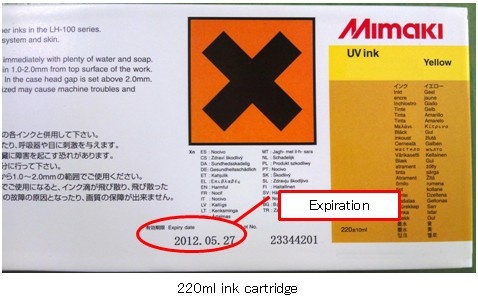 The expiration date of ink is described on each ink pack or cartridge. If an ink cartridge has passed its expiration date, do not use it. Use up an ink cartridge within 6 months since you open it. Drawing quality is degraded if a long time has passed after opening. What installation space is recommended?